Launchpad-Getkeys is a script (comes packaged in a .deb) that automatically imports all missing GPG keys, even if you're behind a firewall. It was initially created by blackgr @ ubuntuforums but then I decided to completely re-write the script so I can add some options, new features and so on. Further more, if you have missing GPG keys, the update manager will not allow you to update the packages. 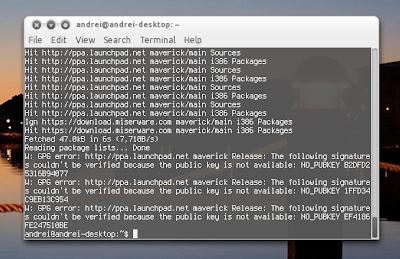 That's when Launchpad-Getkeys comes in: it can automatically import all these missing GPG keys, thus fix the errors. Unfortunately my script didn't work if the user was behind a proxy but WebUpd8 reader Saurabh Kumar added proxy support to Launchpad-Getkeys - I couldn't test this (I'm not behind a proxy and even if I'd try to simulate this, I wouldn't know for sure that it works) but I've merged his change into the Launchpad-Getkeys package in the WebUpd8 PPA anyway. 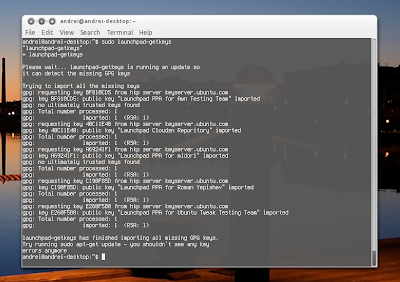 Read on to find out how to install and use Launchpad-Getkeys. 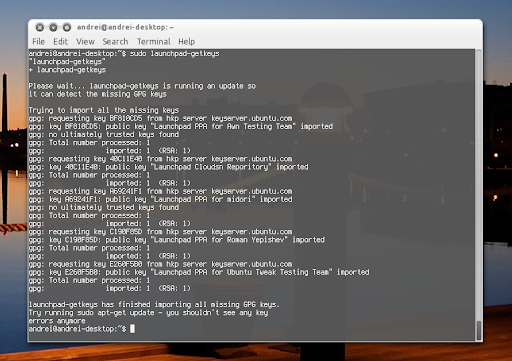 This is useful if the port is blocked (but Launchpad-Getkeys uses port 80 by default, unlike the "add-apt-repository" command until Ubuntu 11.04) or if the keyserver is down. Then press "Ctrl + O" and "Ctrl + X" if visudo is open using Nano (that's the default behavior). Note: There are still things to do. For instance, the script cannot tell if it imported the keys successfully or not and will always report this as successful. I'm still working on solving this. Many thanks to Saurabh Kumar for his patch!